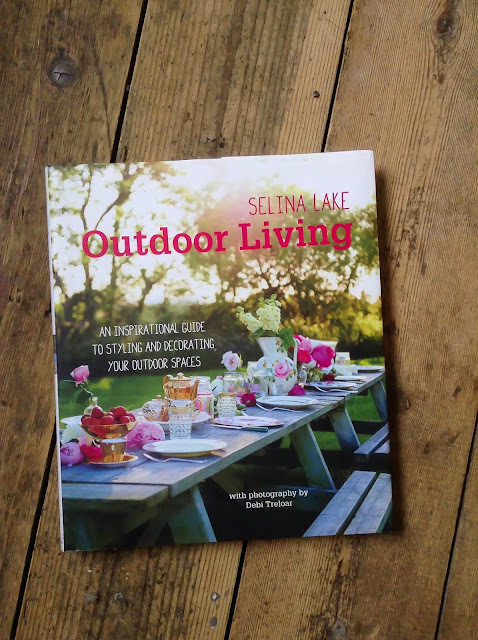 Outdoor Living by Selina Lake.Photography by Debi Treloar. Want to feel inspired to get outside? look no further! Outdoor Living by +selina lake is the ultimate candy for those of us that crave a space outside! And lets face it, now Poldark has finished and the evenings are lighter and warmer it would be rude not to get out there! Outdoor Living is packed to the brim with swoon worthy images from the amazing Photographer 'Debi Treloar', team this with Selina's signature styling and you get a win win combination! If you are looking for ideas on creating a little sanctuary in your garden, maybe designing a garden room, or are looking for ideas on entertaining and styling things pretty, then this is the book for you. I especially love how this one is written! Much more than just a coffee table book, it lets the charm of the author shine through. The settings for the shoots are so beautiful and will inspire you to picnic in a wildflower meadow (on my 2015 bucket list)! And go out and buy a caravan for your back garden... I've pleaded this with Mr C, but I'm yet to convince him. Packed full of pretty ideas I think the DIY's in this book are a lovely feature, I particularly like the one on how to make a Lavender Cocktail! Being of gypsy blood, my favourite section of all is the 'Rooms On Wheels'! To celebrate +RHS - Royal Horticultural Society Chelsea flower show, Selina is doing a GIVEAWAY of three signed copies over on her Facebook page Hop over and share the page to be in with a chance of winning.